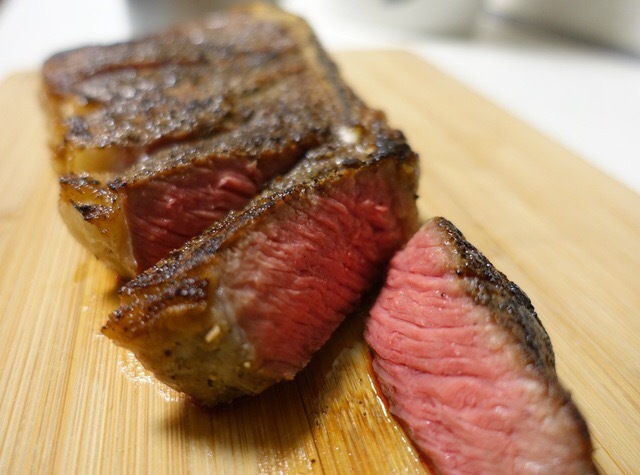 For dinner on Saturday night, I enjoyed this homemade New York strip steak. It's warm pink center invigorated my taste buds and provided me with a full stomach. I really love all of your pictures and the theme of your blog, it looks great!